As Apple moved to online reservations-only for the iPhone 4S, people have started to capitalize on the demand by selling their spots on Craigslist and more. A quick search reveals a plethora of ads ranging in price from $25 to $75. Interested buyers meet the individuals at Apple Stores and during the purchase the buyer ends up paying rather than the person that made the reservation. 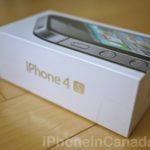 Factory unlocked iPhone 4S units from Apple have become a coveted commodity, as demand remains high internationally (Hong Kong pre-orders sold out in 10 minutes) for the device and those looking to avoid lengthy contracts in Canada. During iPhone launches, it’s not uncommon to also see people posting ads to sell their spots while they wait overnight in line. Have you been able to reserve and iPhone 4S on Apple.ca? Have you ever paid for a reservation or a spot in line?